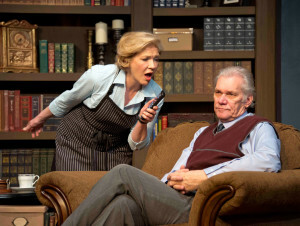 Starring Norm Foster, this delightful play tells the story of a very successful, but cantankerous, novelist who suddenly discovers that he knows nothing about his maid of 28 years. She, on the other hand, knows absolutely everything about him! He makes it his mission to learn all he can about her. With revelations that are surprising, funny and extremely moving, this is a love story, a social commentary and a mystery wrapped in witty dialogue and vivid imagery. Wow! This show has it all!